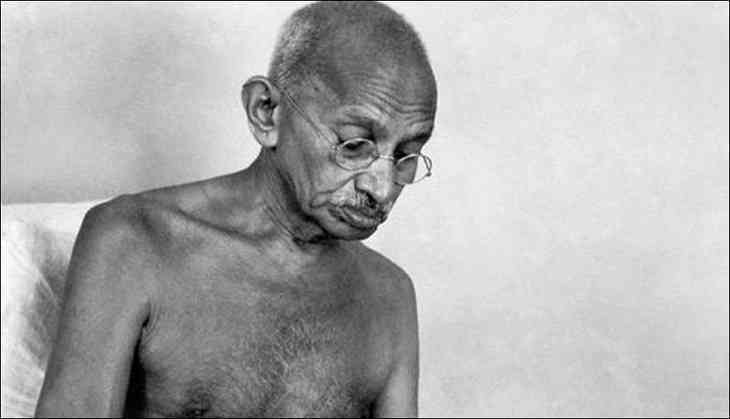 People can now listen to the "recreated heart beats" of Mahatma Gandhi at Delhi's National Gandhi Museum, which will launch a series of programmes Monday to commemorate the 150th birth anniversary of the Father of the Nation. "We have gathered the ECG (electrocardiography) details from different stages of Gandhi ji's life and recreated his heart beat on the digital medium. This will be a very interesting feature for the public," he told PTI. Another special collection being released Monday is the 'Digital Multimedia Kit' about Gandhi which will be available for people to buy. "The kit in a pen drive contains six components: basic books (20 by Gandhi and 10 on him), a documentary film by A K Chettiar, 100 specially-curated pictures, Gandhi's voice, a virtual tour of his ashrams and his favourite bhajans," Annamalai said, adding that the collection could illuminate the youth about Gandhi in a significant way. Chettiar's documentary 'Mahatma Gandhi: 20th Century Prophet', whose footage was acquired in London, covers Gokhale's visit to South Africa in 1912. "It's perhaps the only footage of Gokhale and with him stood a young lawyer Mohandas Karamchand Gandhi dressed tidily in a suit," Annamalai said. Also included are footages from the Quit India Movement, speeches of Mahatma Gandhi, Subhas Chandra Bose and Jawaharlal Nehru, besides Gandhi's visit to the North West Frontier Province with Khan Abdul Gaffar Khan and Noakhali - Peace Pilgrimage. There are selected 100 photographs of Gandhi from his place of birth in Porbandar up to his memorial at the Rajghat here, he said, adding that the collection also includes his pictures of early life, London and South African phase, important movement of Indian Freedom Struggle and with various contemporary leaders. "The pictures are in the form of a power point presentation," Annamalai said. He said the digital kit also has audio footages of the original voice of Gandhi. "His speech recorded in London in 1931 'Spiritual Message of Mahatma Gandhi' (English), the one delivered at the Asian Relations Conference held at Delhi, 1947 (English), besides the Post Prayer Speech on Cleanliness and Hindu Muslim Unity in 1947 (Hindi), among others, are part of the collection," he added. The director said the digital kit has been priced at Rs 300 and only includes the production cost. It will be available for the purchase at the museum. "We are trying to find some sponsors for the kit, in Hindi and English, to bring down the price to Rs 100 so that it reaches to more people," Annamalai said. He said the National Gandhi Museum will begin 'Gandhi: 150' celebrations from Monday and a series of other programmes will be held round the year in various cities across the country.